The Power Cube Stand Alone system produces high quality, unique 3D-measurements – an integrated part of development and production cycle at world’s leading audio manufacturers. 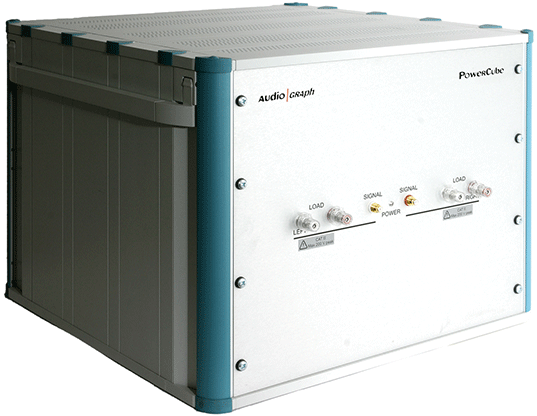 Audio Precision has written a utility that allows APx to control a the Active LoadBox dynamic load tester, for a real-world view of your power amplifier designs. 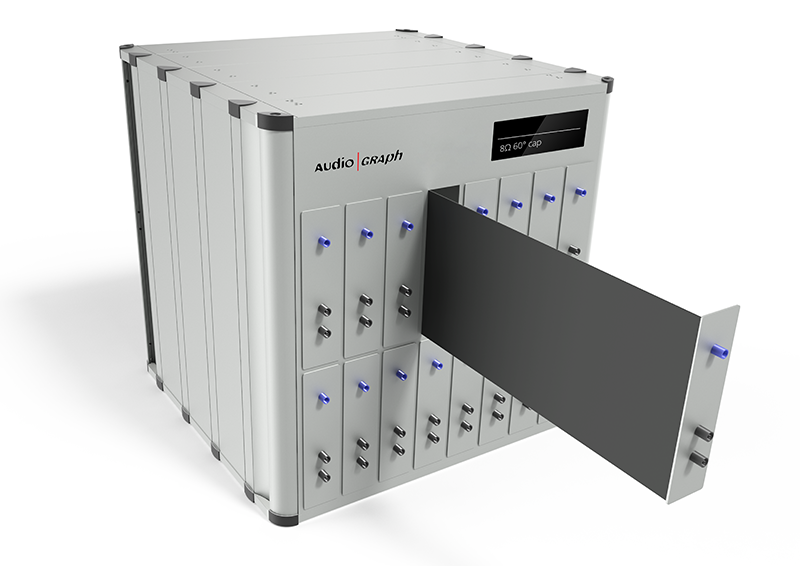 Swedish company AudioGraph, the home of the PowerCube, continues to develop measurement tools for the audio industry. 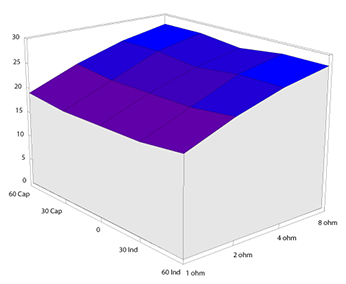 AudioGraph created the de-facto business standard 3-D measurement graphs – easy-to-read yet very powerful. Located in Linköping, Sweden, we continue todevelop tools for the audio industry. On our Documentation page you will find brochures, leaflets and manuals covering all our products and services. 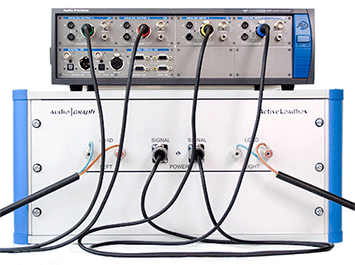 Download section contains artwork, logos and images for the AudioGraph product line. 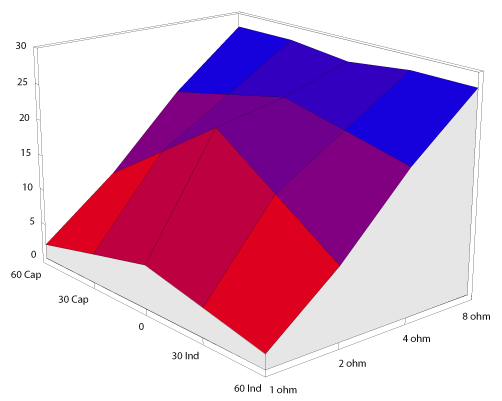 To read the graph, note that the results in the center are purely resistive, with higher impedances in the back and lower impedances in the front. Moving to the left of center adds capacitance (current leads voltage by 30° and 60° @ 1 kHz), and moving to the right adds inductance (current lags voltage by 30° and 60° @ 1 kHz). Because actual speaker impedance can vary greatly from the nominal rating, it’s important to observe the results over the entire graph.